When it comes to towing, weight distribution/sway control is one of the most important components you must add to your trailer hitch. These systems make it safer and more enjoyable to tow a trailer without the risk of sway or potential lose of control. One of the best options available is the Equal-i-zer Sway Control Hitch which offers 4 points of sway control along with just the right amount of weight distribution to keep you and your family safe while on your RV adventures. When you hook your trailer to your hitch on your tow vehicle, the weight of the trailer can sometimes cause the rear end to sag. This sag limits the amount of suspension travel as well as removes weight from the front wheels of your tow vehicle causing unsafe driving conditions. 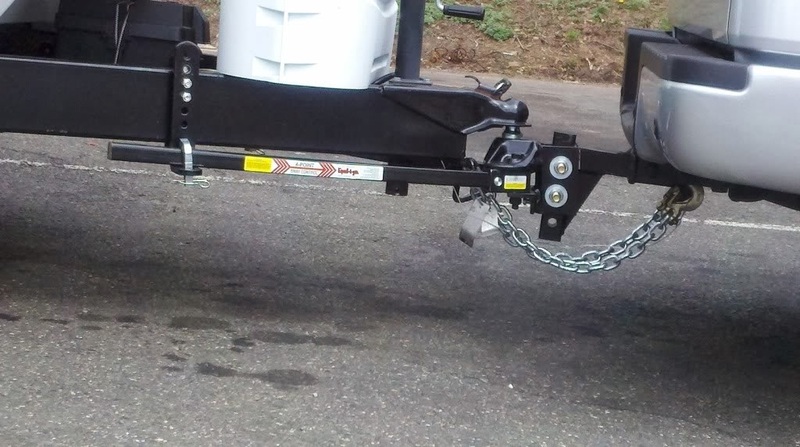 The Equal-i-zer hitch uses spring bars to apply leverage to either side of the hitch system which evenly distributes the trailer tongue weight towards the front of the tow vehicle. This levels the vehicle out and keeps those front wheels planted to the ground for proper control. An even bigger issues in the towing of a trailer is sway. Sway can be caused by side winds, trucks or buses passing along side and rough, uneven roads. As sway begins the driver will try to correct by steering the opposite way that the trailer is pushing. This causes the trailer to whip back in the opposite directions which if not brought under control can end in a jack knife or rollover condition. The Equal-i-zer Sway Control Hitch prevents back and forth swaying by using 4 steel on steel pressure points that control the sway before it starts, keeping the trailer straight and true. It will not eliminate all swaying but does minimize it for safer driving conditions. The Equal-i-zer system provides both weight distribution and sway control all in one hitch. With the purchase of some of the other hitches, you must either go without the sway control or purchase an add-on device to perform this function. While the Equal-i-zer may cost more, it is worth the price when you consider all its functions. If you are considering the purchase of a trailer or your having trouble with towing with your current hitch, it may be time to consider the Equal-i-zer Sway Control Hitch. This trailer hitch add-on can reduce the amount of sway you experience and keeps your trailer and vehicle straight to reduce the risks associated with towing a trailer. If you are interested in purchasing this or other tow bar products, contact us. We carry a variety of options to best meet your needs.